A dental bridge performs like your own teeth, helping you restore the natural look and feel of your smile. 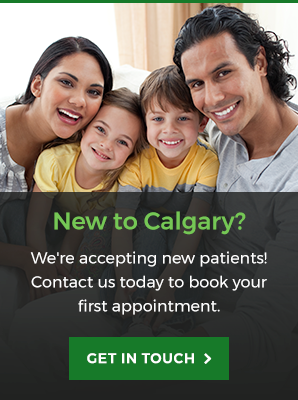 Let us help you find the right solution that suits your needs at Go Dental in Calgary! At Go Dental, we provide dental bridges, a dental restoration treatment designed to replace one or more missing teeth. A dental bridge extends across an area that has no teeth and is typically made up of an artificial tooth fused between 2 crowns. The bridge is held firmly in place by your own teeth on each side of the missing one(s) or by dental implants. A bridge is permanent and cannot be removed. What happens to your mouth when you lose a tooth or multiple teeth? When you lose a tooth or multiple teeth, you inherit a gap in your dental structure. This gap can cause surrounding teeth to encroach, shift or rotate into the empty space left behind by the missing tooth. This can lead to difficulty in biting and chewing. What's more, the appearance of your smile can also be negatively affected. Interested in dental bridges? Book your appointment today! We're open 7 days a week for your convenience.